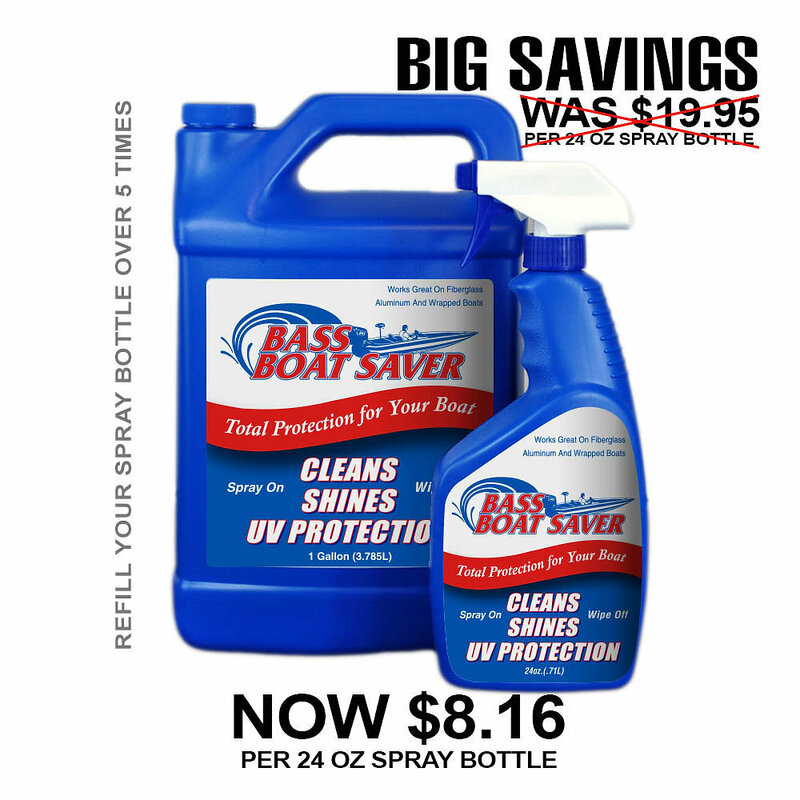 In one easy application, Bass Boat Saver cleans, preserves, and UV protects your boat, in addition to leaving a nice, waxed look. Fast-acting ingredients deliver a long-lasting and durable finish. After coming off of the water, apply Bass Boat Saver with a microfiber cloth to the boat, motor, and trailer, as well as the seats, console, and trailer tires. We have all watched boaters at the ramp use glass cleaner or some other harsh chemical to clean their boat after a day on the water. These products break down the gel coat and clear coat. UV rays from the sun will damage these finishes also. With continued use of Bass Boat Saver, your boat, motor, trailer, and all accessories will retain a deep, rich color and will be protected from the elements. Bass Boat Saver is completely biodegradable and is no danger to our fisheries.